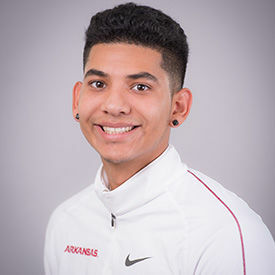 For the high school track star, it’s not every day that the University of Arkansas — perhaps the country’s preeminent track and field program — comes calling with scholarship in hand. But that’s what happened to former Edinburg Vela high jumper Brendon Rivera three years ago. Arkansas wasn’t the only school vying for Rivera’s services. Kansas and Texas A&M wanted him, too, and Houston sent the great Olympian Carl Lewis to the Valley to try to get Rivera to sign. But in 2014, Rivera went with Arkansas, where the men’s program has 10 NCAA track outdoor titles and 41 overall. The move is proving to be right. After taking a medical redshirt during his freshman year (2015-16), the former state champion has come on strong for the Razorbacks as he worked hard to get back to form. But Rivera bounced back at the NCAA DI West Regionals, held last month at the University of Texas. He ended up clearing 6-10 3/4 and placed 27th. He was just 3 inches short of the winner and missed making the NCAA finals by just one bar. The Vela alum and 2015 Class 5A state champion said being relegated to spectator for the entire 2015-16 year was difficult, especially with Arkansas taking the SEC track triple crown: winning the conference indoor track, outdoor track and cross country titles. “It was definitely tough, especially because I knew I could have competed well,” he said. However, once he was back, a motivated Rivera performed well during the winter 2016-17 indoor season, then showed moxie by winning his first 2017 outdoor meet: the Baylor Invitational with a leap of 6-10. Three weeks later, at the LSU SEC Relays, he jumped a personal best 6-11 and landed in fourth place. He did not place as high as he would have liked in the SEC conference championships, but the 6-11 leap earlier in the season was good enough to qualify him for one of the 48 spots at the NCAA regionals. That taste of success has Rivera wanting more. 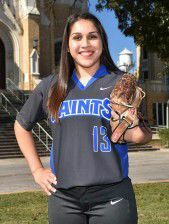 Former McAllen Rowe pitcher Lauren Garza did her part to help the Our Lady of the Lake University Saints make their seventh all-time appearance to the postseason Red River Athletic Conference Softball Championship. The junior pitcher, on track receive her master’s degree in December, made 22 appearances and posted a 6-3 record this year. Garza pitched 61 1/3 innings and showed improvement over last year. The Rowe alum dropped her ERA from 5.13 to 1.83 and was better in several other categories. The DIII Saints went as far as the RRAC semifinals and finished with a 25-22 overall record, 14-12 in conference. OLLU is an NAIA school in San Antonio. 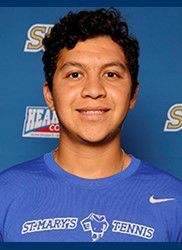 Harlingen South product Jeremiah Gonzalez made an immediate impact on St. Mary’s University’s tennis team with superb performances in singles and doubles play. The freshman was part of the NAIA Rattlers’ No. 1 doubles team that went 9-3 in its last 12 matches, and as a singles player he was just as impressive. Gonzalez did not lose in his last nine outings. He won seven matches outright and had leads in two others that were not finished. The former Hawk and 2016 6A state silver medalist won all of his singles and doubles matches at the 2017 NCAA Division II championships — although his team exited in the first round. St. Mary’s won the DII Heartland Conference and the NCAA South Central Regional. The freshman, winner of the Intercollegiate Tennis Association 2017 South Central Region Rookie of the Year award, ended up 15-6 overall as a singles player (playing mostly at No. 2) and 16-9 in doubles. Jav’ana Gonzalez was steady for the Sul Ross State Lobos in 2017. The San Benito alum batted .271 with 35 hits and 43 total bases in her sophomore season. Gonzalez also notched a fielding percentage of .942. The right-handed shortstop had only nine errors in 155 chances. Gonzalez was the only player on the 13-27 (Lobos’ best mark ever) team that started all 40 games at the DIII university in Alpine — in west Texas near Big Bend National Park. 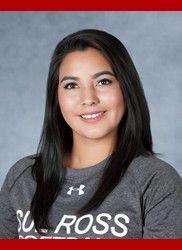 The former Lady Greyhounds star also led the Lobos in the hit-by-pitch category with six and ranked second in runs scored.